Anyone who can run more than five miles is a legend in my eyes. Running 26.2 miles? Well, that’s just another level of legendary. Adidas recently honored the running legends who participated in the Boston Marathon. To celebrate 30 years of partnership between the footwear and apparel retailer and the Boston Athletic Association (B.A.A. 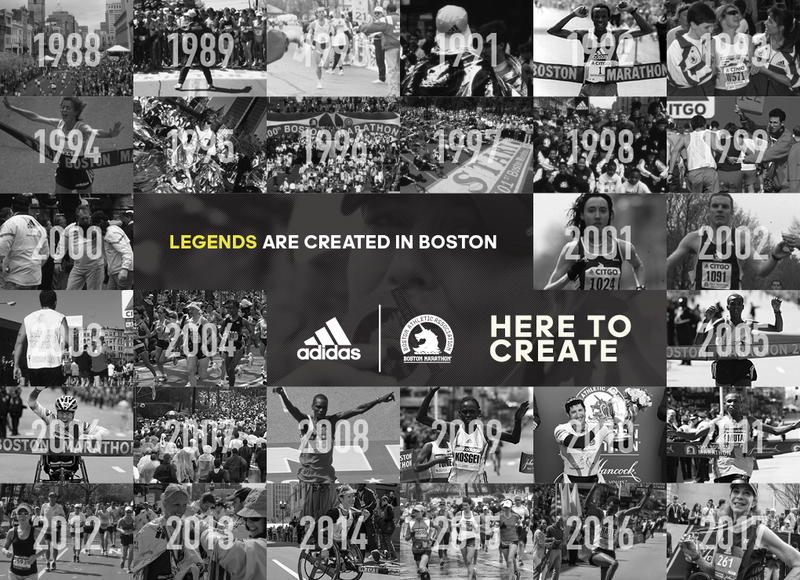 ), Adidas introduced the 2018 Boston Marathon Campaign in April—Here to Create Legend. The campaign featured 30,000 unique videos for 30,000 runners of the 122nd Boston Marathon, delivered hours after the race. Data generated from RFID chips on race bibs combined with street mats that broadcasted ultra high-frequency radio signals from antennas allowed Adidas, in partnership with digital agency Grow, to capture individual videos using just seven cameras and a 20-person crew. Personal footage was captured at the 15K mark and finish line. Trial runs at other road races, storyboarding, and prototyping with prescriptive camera angles, shot lists, and sound effects eliminated excess footage and unnecessary editing, helping to make the quick delivery possible. The result? A customized highlight reel with beautiful scenes from race day and an inspiring soundtrack. Did you participate in the Boston Marathon or know a legend who did? You can visit heretocreatelegend.com to search for videos by bib number. Emily has written for some of the top tech companies, covering everything from creative copywriting to UX design. When she’s not writing, she’s traveling the world (next stop: Japan! ), brewing kombucha, and biking through the Pacific Northwest. How working in customer service and hospitality helps me as a UX/UI Designer.